Why Being Gluten Free Is Not Always Healthy! 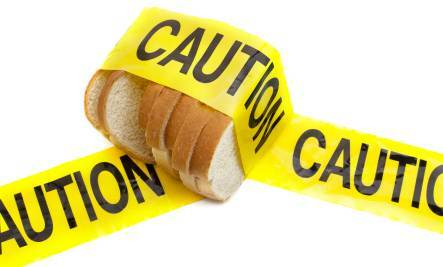 Home » Health News » Why Being Gluten Free Is Not Always Healthy! It is true that the mainstream gluten free diet is not always healthy and can actually be making you fat and unhealthy! Yes, if you are celiac or gluten intolerant (also known as gluten sensitivity), you do have to go gluten free. Unfortunately, most of the recipes and products available, although they don’t have gluten in them, are NOT healthy for different factors so you may end up with different problems. This is what I have found in my extensive research in the past two years. Most celiac or gluten intolerant people who go gluten free feel much better right away. I would like to suggest that these people go BOTH gluten free AND healthy! I was personally highly gluten sensitive, which I have overcome, now I am still need to not eat it every day though. Some of my comments will be directed at this situation. One in every 133 people of the western population is suffering from celiac disease and the University of Chicago Celiac Disease Center estimates 97% of those with Celiac Disease remain undiagnosed. Wow! In our own testing, we find that over 80% of the people we test are gluten sensitive. Diagnosis of celiac disease is not easy. It is expensive and you need to first have a positive antibody blood test then be confirmed by an intestinal biopsy by a Gastroenterologist in a hospital costing $2,000 – $5,000. This disease can cause many problems in your body and research is even saying it may even predispose you to liver disease or cancer. Wheat is not the way it used to be. Scientists began cross-breeding wheat to make hardier, shorter and better-growing plants in the 1950’s. It seems that the gluten in wheat may have been altered contributing to ‘gluten sensitivity.’ There are now 25,000 types of wheat. Interesting that there are a number of studies showing that gluten intolerance is four times more common today than it was in the 1950s. Click here for a test if you are gluten intolerant. 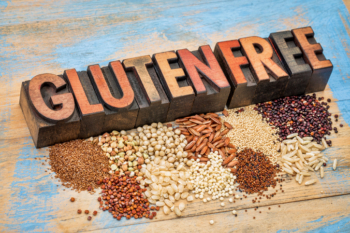 Most of the people suffering from celiac disease (gluten intolerance) that follow a gluten-free diet gained weight according to the University of Chicago Celiac Disease Center report on a study of 188 patients on gluten-free diets. 81% had gained weight and over 40% had a BMI (body mass index) in the “overweight” range of greater than 25 after two years on the diet. There is a trend for people who want to lose weight to get on the bandwagon of being gluten free to lose weight! These are people who do not even need to be gluten-free. Nuts! Highly processed gluten-free products and recipes are lower in fiber, creating a hunger meaning you have to eat again very soon. Also, let’s not forget about needing good fiber for healthy bowel movements. The benefits of good carbs like brown rice, fruits or beans are not there due to eating dumb carbs. You need good carbs to regulate blood sugar and bowel movements. The gluten free ‘flours’ like tapioca starch, corn starch, rice starch, potato starch etc. also cause health issues in the gut and with their high Glycemic index. Also, they are totally devoid of nutrients! Processed gluten-free foods contain almost twice the calories as their counterparts and are more than double the price. Sugar is not an ingredient we want lots of if we have gut problems as it is what will feed the unhealthy bacteria in our gut. Avoiding grains means that you will be getting less iron, calcium, thiamine, riboflavin, niacin, and folate. Some of the side effects from using x-gum are similar to the feeling you get from gluten sensitivity. Flu-like symptoms can occur, and since it used for a laxative, sometimes even a small amount might annoy your guts according to WebMD. And this is what I find all over online: “Her cupboards are filled with various bean flours, xantham gum, potato starch and tapioca flour to make loaves of bread and other gluten-free foods.” From an online newly converted gluten free woman. I find this scary. 1. Include these 11 gluten-free whole grains Millet, Quinoa, Brown Rice, Amaranth and Buckwheat, Cornmeal whole grain (not corn starch), Oats (make sure they are pure and uncontaminated), Sorghum (whole grain), Teff, Amaranth, popcorn, and Montina (Indian Rice Grass). Read their benefits at 11 Gluten Free Whole Grains. 2. Your meals need to be filled with whole real food; food that is rich in whole and unprocessed foods, vegetables and fruits and beans. 3. Just because product label or recipe says it IS gluten free doesn’t mean that it is healthy. Read the ingredient list to find out if it is truly healthy; if there are unhealthy starches, sugars, and Xanthan Gum then it is not a healthy choice. 4. Remove all starches; they are not needed and are only one molecule away from refined sugar. 5. Try out my Healthy Baking Weekend Web BootCamp where I teach people how to do baking for the holidays that is gluten-free, sugar-free, super healthy with whole foods! 6. Get Tested to find out which grains you are sensitive to. Some could be VERY good for you. Others are very likely draining. We have created a simplified test to find exactly this. 7. If you need to be gluten free then it is important to eliminate all gluten proteins. They are found in ALL forms of wheat (including durum, semolina, spelt, kamut, einkorn and faro) and related grains rye, barley and triticale. I have been helping gluten intolerant people for years now. All my recipes at Real Food For Life are gluten free and healthy. There are new recipes added often. 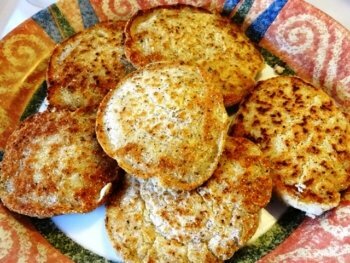 A few years ago, I had to redo my recipes as I thought for awhile the gluten free experts knew what they were talking about. I have taken out all the unhealthy starches such as potato starch and Xanthan Gum. If you want to be healthy. If you want to grow stronger. If you want to be slim not fat. If you want to feel trim, not bloated. No starch, no white sugar, and no refined carbs. sent to you once a week, subscribe to the newsletter. You can also learn how to plan and prepare super gluten free healthy meals with my 2-5-30 Healthy Diet Online Courses. this is sooooo timely; I’ve met Dr. W.Davis in Calgary a few weeks and was handed his book ” Wheat Belly”. I frequently promote our Raw Food cracker and cookie at Gluten Free Expo’s and am thoroughly amazed and disappointed at the nutritional profile of many gluten free “bread substitutes”. Do we really need a gluten free Brownie or Muffin? For many years I refrained from eating whole grain bread, bread in all its forms, because of candidiasis. However, as more so-called gluten-free baking became available, I added bread back into my diet when I had eliminated the overgrowth and am now contending with wheat belly. It is hard coming off bread! I am determined to do it and am committed to returning to a bread-free diet. Your article has been very timely… again. Thank you so much. Good article, thank you. In almost total agreement with this, as my son is hungry due to removing the gluten and wheat. I try not to buy gluten free products unless necessary, for the reasons you suggest also – sugar, starch……., preferring to cook and bake at home, but it is exhausting trying to get all the combinations right or flour etc. The only thing I disagree with is advocating the use of anything corn. There is much research now to suggest that corn and gluten and very close and lots of cross pollination. I now realise this with my own son and have had to remove all corn products too. Arrowroot instead of cornflour? #4 is completely inaccurate – tapioca (manioc) has been a staple, healthy and modestly nutritious root food for human for millennia – get your info correct please. Oats are not gluten free- why do you include them here on the 11 grains that are gluten free list? In order for OATS to be gluten free they must be processed. Nikki- yes arrowroot instead of cornstarch as a thickener. I am scared by the information or rather disinformation she is spreading here. I am gluten free- I do not expect to find the perfect diet- because everything is processed by the same people that say you should eat grains- the same grains they genetically modified- so it’s a conspiracy to kill us all off.. including the water but that is another topic. Remove the CORN- as I agree with Nikki- not only that CORN IS Gentically modified- making it cancerous and if you must use it use NON GMO CORN.